Nino Leitner, an Austrian documentary film maker has now succeeded in releasing on DVD his well researched, and thought provoking documentary entitled Every Step You Take. This gives a glimpse of the CCTV Surveillance Society which is prevalent in the United Kingdom, and which is even starting to spread to his home country of Austria. 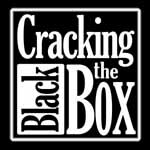 As this was a Master's documentary film project, Every Step You Take, at just over an hour of running time, it treats the topic in proper depth, with interviews of experts e.g. from Professor Clive Norris, the criminologist world authority on CCTV who made the famous "4.2 million cameras in the UK" guesstimate, (see "monitored on CCTV 300 times a day" etc. soundbites and Deputy Chief Constable Andy Trotter OBE QPM from British Transport Police, spokesmen from UK and Austrian Civil Liberties and Data protection organisations and a front line CCTV control room manager from Southampton. There are are also vox pop interviews with members of the public in the streets, some of whom do not mind the idea of being under surveillance, and others who are somewhat shocked to be told that what they thought was a harmless street lamp, was in fact a CCTV surveillance camera disguised as a lamp post. The subtitled comments by an Austrian musician and writer living in the UK, seem to give a dispassionate outsider's appreciation of the attitude of British society to CCTV. There is also reconstructions of being filmed via CCTV and trying to get a copy of the footage via a Data Protection Act subject data access request in the UK. There is also a reconstruction of a privacy activist "hack" into a novel Austrian wireless CCTV system, which showed that no actual criminal drug dealers were being observed, but that the camera was being abused for voyeuristic purposes. The documentary also has footage of some of the advanced digital analysis software which modern CCTV systems are now being fitted with, such as the rather creepy Automatic People Targeting, and Facial Recognition systems, which are good enough to harass innocent people automatically with, but which are not foolproof or capable of actually picking out all the wanted criminals and terrorists which they are supposed to. Spy Blog strongly recommends this documentary to anyone interested in modern CCTV Surveillance, and to anybody else who is planning to make a documentary on this vast topic. 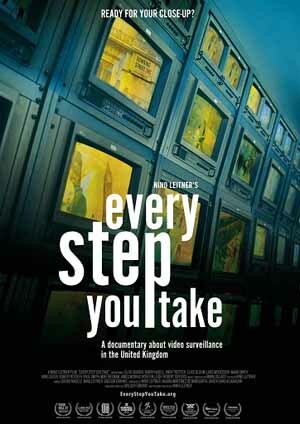 Continue reading Every Step You Take - CCTV surveillance documentary - review.